exciting time is beginning in human history. I call it the 12th Insight. Is there a way to move into sync with the spiritual design of the universe, so that our lives go better? Are we discovering how to have more synchronicity, and more accurate intuitions, that can guide us through the challenges of our lives before they get bad–and open up magical opportunities for our best dreams? James Redfield believes a new, very exciting time is beginning in human history. He calls it the 12th Insight. The Mayan Calendar calls it the Ninth Wave of Creation. 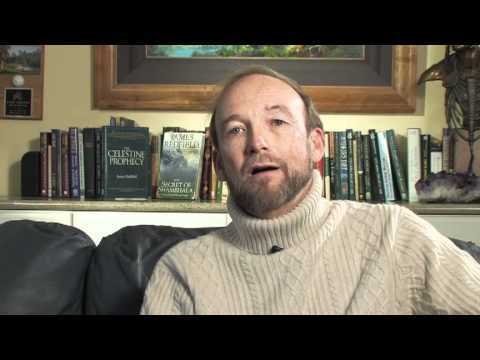 James Redfield is the New York Times best-selling author of The Celestine Prophecy. In 1995 and 1996 The Celestine Prophecy was the #1 American book in the world, and the #1 international bestseller of 1996. This phenomenal novel spent over 3 years on the New York Times best sellers list. Redfield continued the story with the sequels The Tenth Insight: Holding the Vision and The Secret of Shambhala: In Search of the Eleventh Insight. The final installment in the Celestine series is The Twelfth Insight: The Hour of Decision, which was released in February 2011 by Grand Central Publishing. James Redfield is also the author of the non-fiction title, Celestine Vision, and co-author of God and the Evolving Universe. 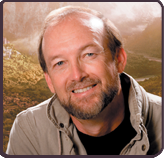 He co-wrote and co-produced the film version of The Celestine Prophecy Movie. Join Georgiann and James and gain some insight into the mystery of 2012. Gini Gentry worked side-by-side with world-renowned Toltec master don Miguel Ruiz for fourteen years—first as his manager and student, and later as his sole teaching partner. During this time, she earned the title of Nagual Woman, the female spiritual leader of the Toltec Eagle Knight Lineage. As Ruiz’s manager, she served as content editor and marketing consultant for his New York Times best-selling book The Four Agreements, an instant classic enthusiastically endorsed by Oprah. Gentry is the author of the Amazon bestselling book-within-a-book Dreaming Down Heaven – a revolutionary new take on the personal growth genre that combines accessible nonfiction with illuminating fiction. Join Georgiann and Gini for a truly enlightening show. She’s a Real Dr Doolittle! As a child Maia Kincaid spent much of her time living in the world of nature, communicating with animals, plants, insects and the earth. Being highly sensitive she felt the emotional and physical well being of the humans and animals around her. When a dear friend was challenged with a health problem Maia had an intimate understanding and sense of what this was like. Apart from viewing the physical body she was able to feel the emotions that were stored and see how they contributed to the physical challenges.She literally felt the discomfort, which propelled her into a journey of self discovery to understand what she was feeling. She also came to realize that she could receive information from people and animals from all parts of the planet, without having previously met them or having them in her presence. The desire to understand these gifts and the responsibilities involved, perhaps inspired her great interest over the years in holistic wellness, in particular how to nourish the body, mind and spirit. 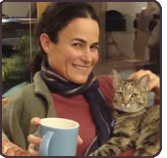 Join Georgiann and Maia to hear her incredible story and maybe get some insight on your pet’s behavior! 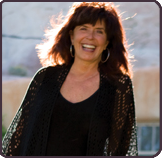 Click here to visit her website and learn more about Maia! Imagine being able to heal someone just by having your hands near them. As a doctor, Eric Pearl ran a highly successful chiropractic practice for 12 years until one day his patients began reporting that they felt his hands on them – even though he hadn’t physically touched them. Patients soon reported receiving miraculous healings from cancers, AIDS-related diseases, epilepsy, chronic fatigue syndrome, rheumatoid and osteoarthritis, birth disfigurements, cerebral palsy and other serious afflictions. All this occurred when Eric simply held his hands near them – and to this day, it continues. 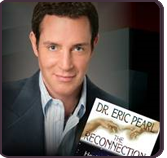 As an internationally recognized healer Eric Pearl has appeared on countless television programs in the US and around the world, spoken by invitation at the United Nations, presented to a full house at Madison Square Garden, been interviewed in various publications including The New York Times, and most recently featured in the film, The Living Matrix.